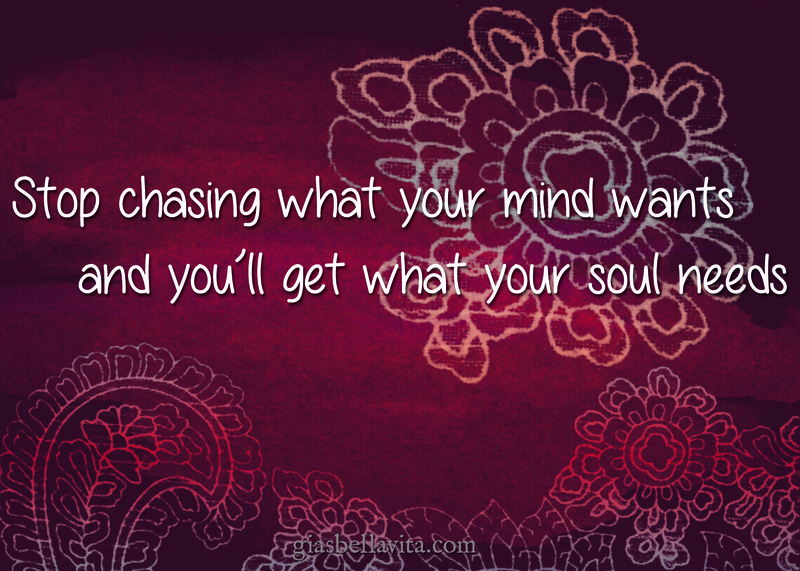 Do we live the life our mind tells us we want, or do we nourish what our heart and soul needs? My mind wants so many things, but my body doesn’t always want to cooperate. Then there is also the financial issues of living with metastatic cancer. I am so grateful for the life I have and know I’m blessed, but the adventurer in me feels suffocated. Many things in my life weigh on me to the point I can’t breathe. I spend endless hours thinking of ways to ease my situation and there always seems to be a wall. I’m surprised my face isn’t flat from slamming into the walls in life, but thinking on the positive side there is always a way around them or a different direction to take. I saw this quote and it spoke to me. “Stop chasing what your mind wants, and you’ll get what your soul needs” Designing the background for it, quieted my mind. It felt good. Every day I will practice letting go, turning off the noise in my head, and just listen to my heart and soul.